Spark Your Mastery is a program of four half-day classes teaching essential Learning as Leadership concepts. 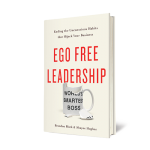 Empowered with eye-opening insights into their Egosystem, participants can engage more fully in creating a cultural mindset of responsibility and collaboration. 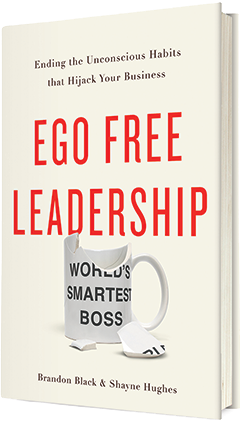 The Ego Free Leadership program provides tailored, in-depth development to senior management. WeLead inspires middle management to embark on your culture change journey. Spark Your Mastery offers a flexible and affordable way to share this common language and build a deeper cultural commitment to being a learning organization. We recommend delivering Spark Your Mastery through our train-the-trainer course, and will help you identify suitable candidates. If needed, external LaL-certified trainers can facilitate Spark for an additional fee. This class introduces the idea of ego-awareness. Participants will define their Desired and Dreaded Images™, understand how that drives behavior and explore the consequences on productivity, team trust and cultural effectiveness. Awareness of Dreaded Images lays the groundwork for participants to identify their Ego Threats™, a crucial element in Sorting Pinches™ (a class that will be part of Spark Level 2). What if, unbeknown to us, we had a responsibility in whether others showing up as their best selves … or their worst? What if our beliefs and actions actually fed the behaviors we wish others to change. In this session, participants will discover how they get into unproductive Self-Fulfilling Prophecy with others, despite themselves. By identifying their responsibility in such dynamics they will learn to turn the situation around and Make [Each] Other Good™. How can we collaborate if we are always sure that our perception is reality and other people are in the wrong? How can we work effectively together if we cannot distinguish Facts from Interpretations? In this session, participants will learn to identify their “frames” and unchecked assumptions in order to expand their view of reality and improve their ability to collaborate. The need to be right will be replaced by curiosity and partnership in the workplace. People are their best when they are aligned with a sense of direction and inspiration. 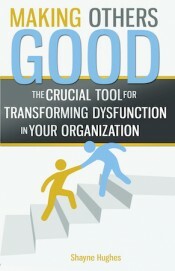 This class gives participants the chance to take stock of their goals in the workplace and beyond. Understanding their true motivations in any situation (their Objective vs. their Purpose) will enable them to act At The Source™. Participants will leave with a Goal Roadmap™ which includes Learning Edges, Milestones and Practices. Intrigued? Setup a free needs assessment. Discover the real story of a culture change which resulted in 300% growth when most in the industry went bankrupt.